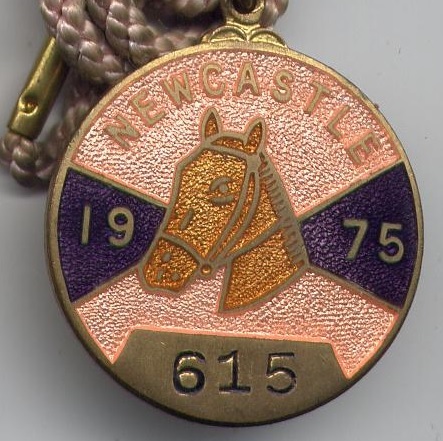 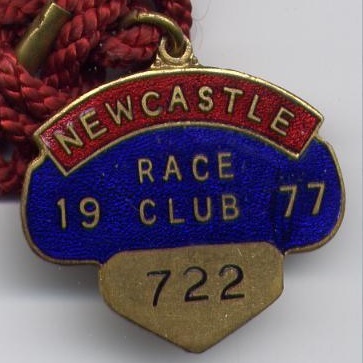 The earliest record of racing in the Newcastle area was on 17th March 1621 on Killingworth Moor, while over 70 years later the records of the Newcastle Corporation noted races took place in 1695. 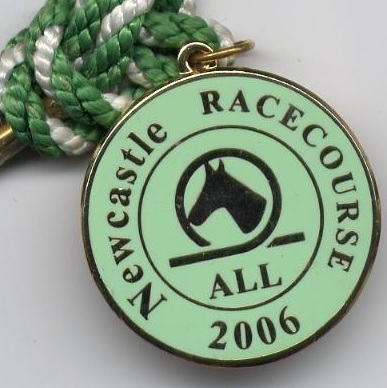 However, it was not until 1721 that races were held on Town Moor, although it was some time before the first King’s Plate was staged on Tuesday 5th June 1753 when won by Cato. 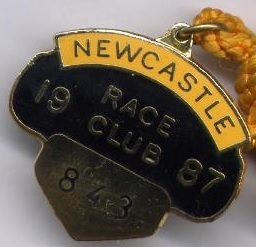 A common practice in the late 18th century was to sell life membership tickets to raise the necessary finances to build grandstands. 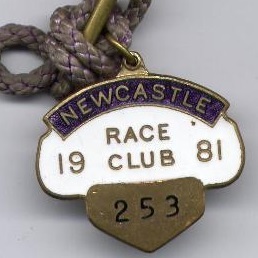 In 1800 Newcastle sold silver subscribers tickets for 15 guineas each to pay for their grandstand, the front and back of one of them is shown opposite. 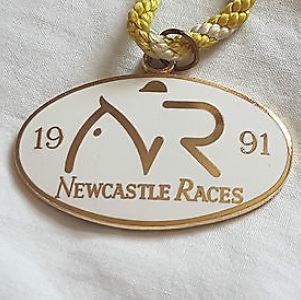 The two mile Northumberland Plate was first run on the Town Moor course in 1833 as a £15 handicap sweepstake and was won by Tomboy carrying 8st 2lbs.  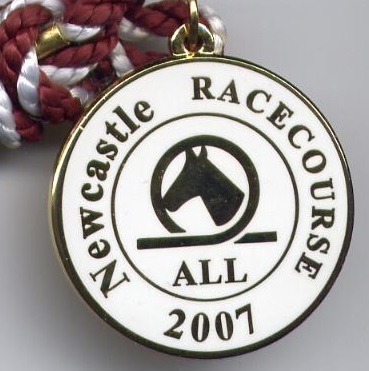 A full record of the Northumberland Plate is shown below. 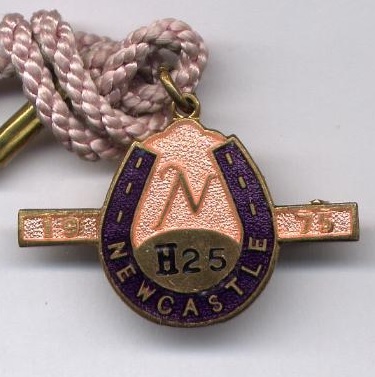 The Gosforth Park Company was formed in 1881 under the direction of Fife Scott and Charles Perkins. 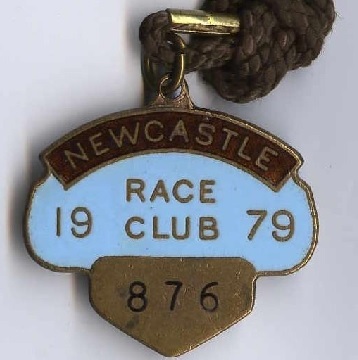 In March 1882 the first enclosed coursing meeting took place at High Gosforth Park, followed closely by the inaugural race meeting on 9th September 1882. 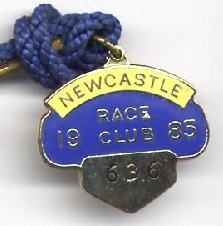 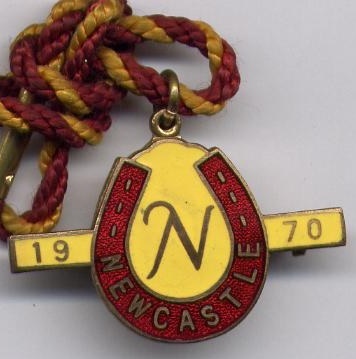 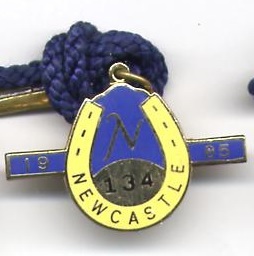 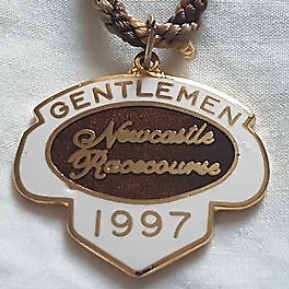 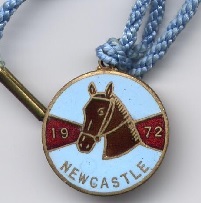 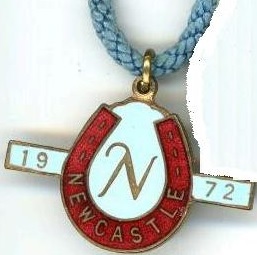 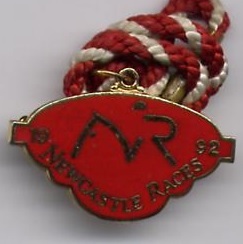 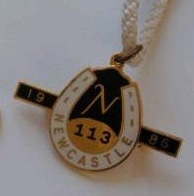 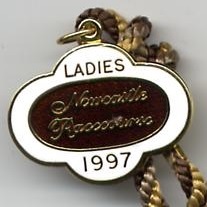 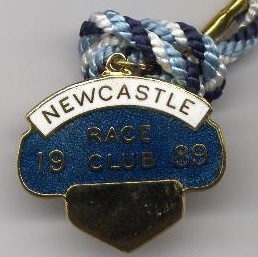 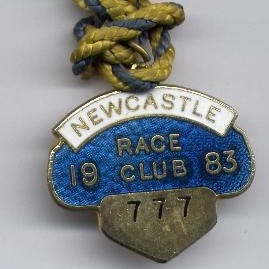 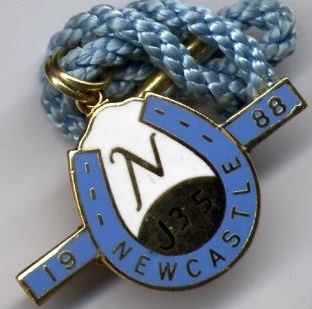 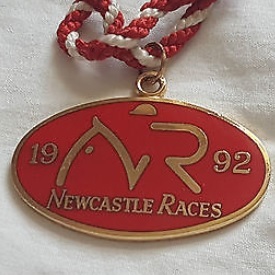 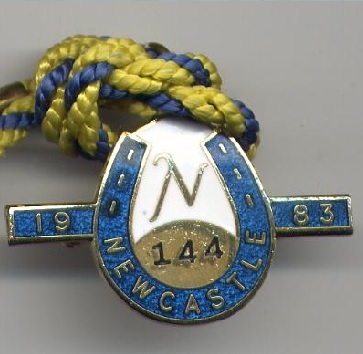 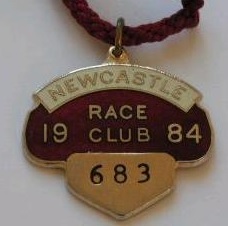 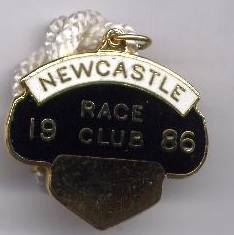 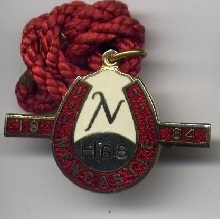 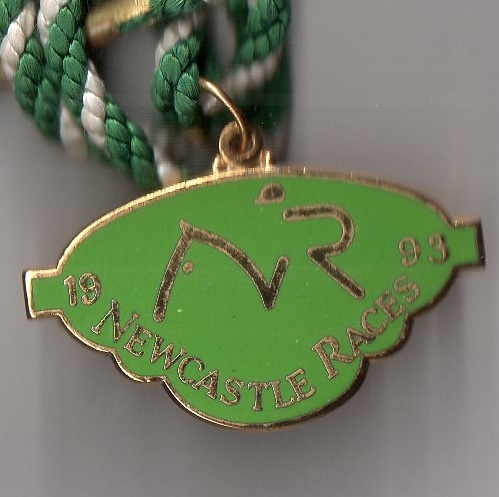 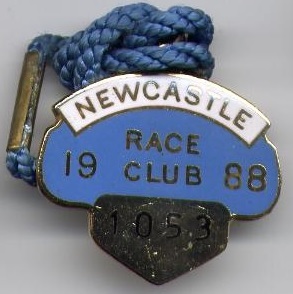 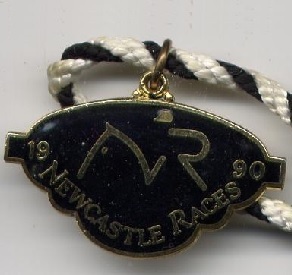 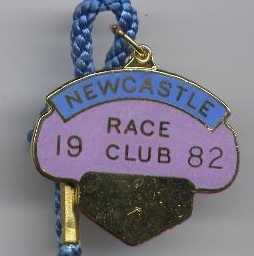 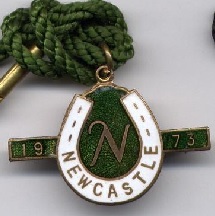 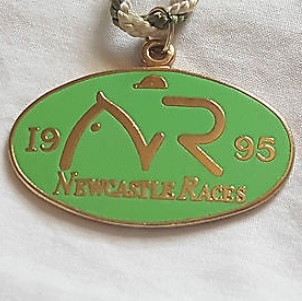 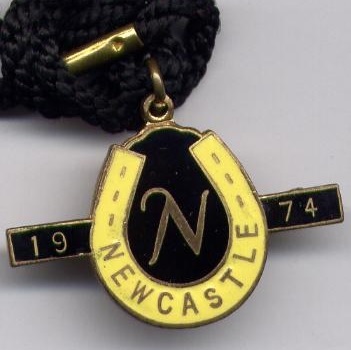 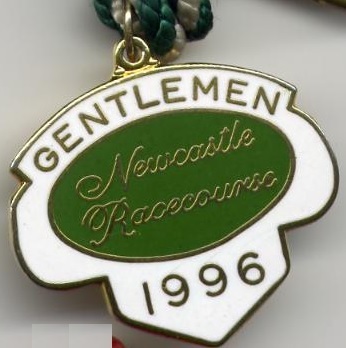 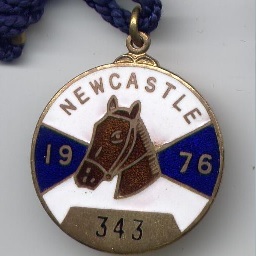 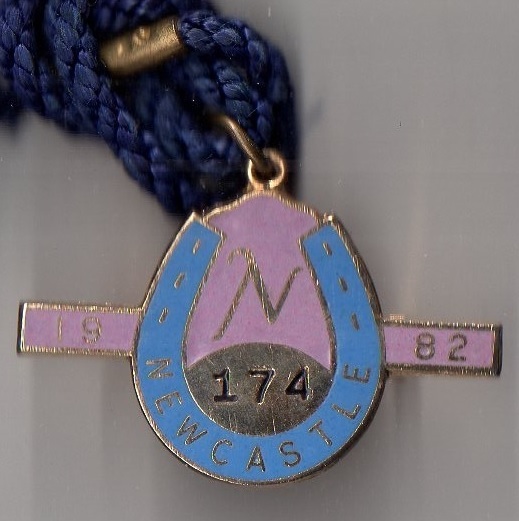 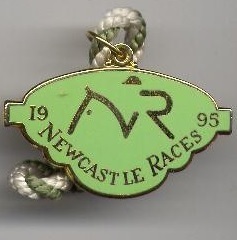 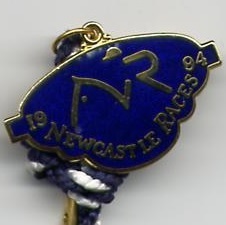 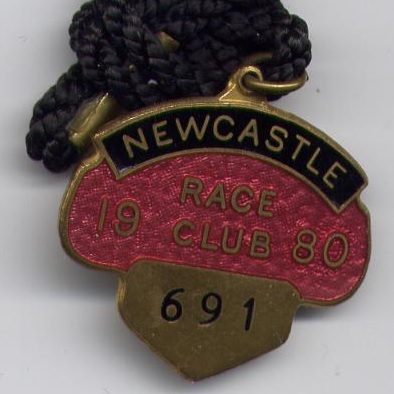 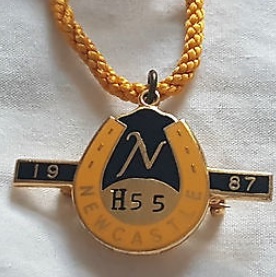 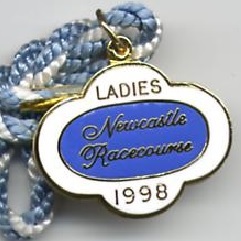 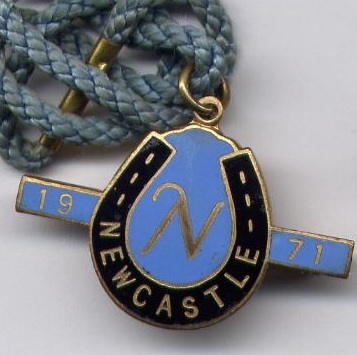 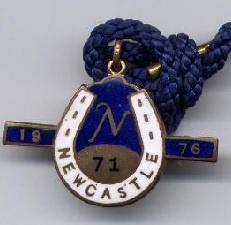 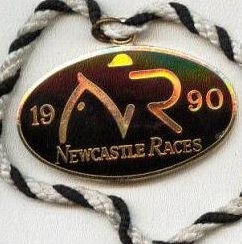 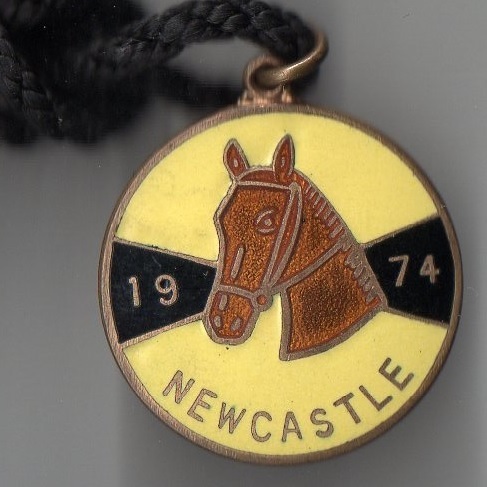 A members badge from the second year of racing at High Gosforth Park is shown opposite. 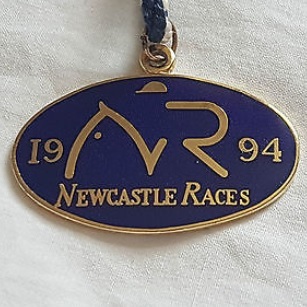 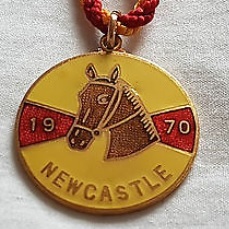 The 812 acre High Gosforth Park estate became the permanent home of Newcastle racecourse, with the Northumberland Plate of that year won by Victor Emmanuel, who later went on to win two Goodwood Cups and the Ebor. 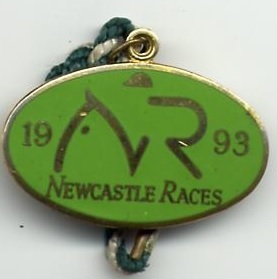 National Hunt racing took place at the course for the first time in 1951, the Eider Chase being its most important race. 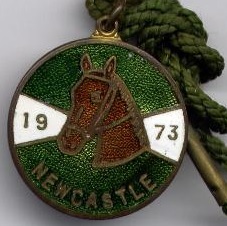 The 1975 Fighting Fifth Hurdle was one of the best races ever held on the course, with Comedy of Errors, Night Nurse and Sea Pigeon battling out the finish before Night Nurse prevailed. 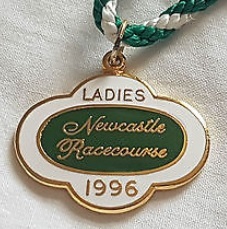 In 1994, after a period of decline, the racecourse was bought by Northern Racing, chaired by Sir Stanley Clarke, and the company invested a significant amount to modernise the course. 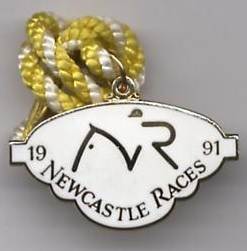 The principal races at the racecourse are the Northumberland Plate which is known as the ‘Pitmen’s Derby’ on account of it being a day’s holiday in the pits allowing the pitmen to attend, first run over 2 miles and 56 yards in 1883, the Eider Chase, first run in 1952, and the Fighting Fifth Hurdle over 2 miles, first run in 1969. 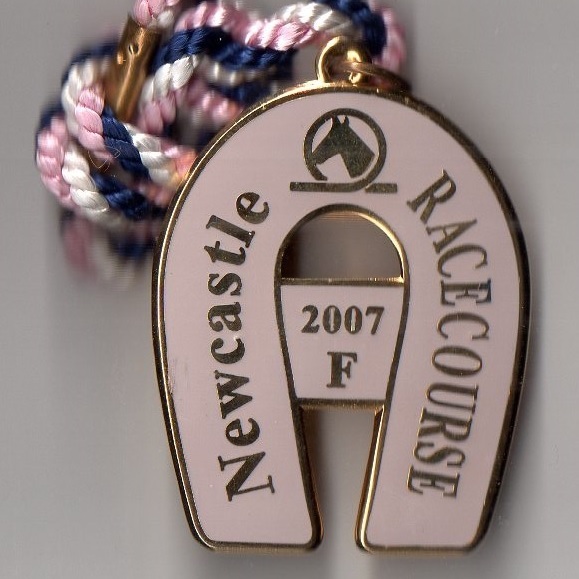 Currently the course hosts 32 fixtures annually.